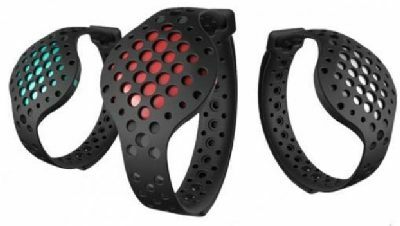 Fitness trackers, those rubbery little bracelets you may have seen joggers wearing... have come of age. No longer just a gimmick, these sophisticated exercise tracking devices pack a lot of features into a small package. Today's fitness trackers keep daily statistics automatically on: the number of steps walked, calories burned, heartrate monitoring, and even sleep stages. Some trackers have a built in GPS to help guide outdoor joggers. .....but we feel it will help keep you motivated and engaged in that all-important exercise regimen. Which is the best fitness tracker for you? The one you will wear and use on a daily basis. Leading the pack of fitness trackers is the Fitbit Alta, which my brother and son both wear and love. They live 5 states apart but are in touch all the time, comparing their "steps walked per day" and other stats. Fitbit App syncs seamlessly with your smartphone; iPhone, Android or Windows. Calling and texting features alert you to activity and health info. Keep motivated by comparing stats with your "workout buddies" many miles away. Now this is one clever idea... incorporates the Fitbit system into a sleek and stylish watch... add GPS... and Voila! 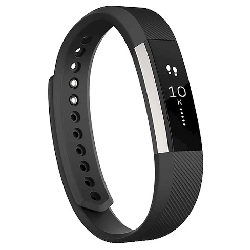 You have this Amazon's Choice Fitbit Smartwatch! Earbuds stay put during strenuous exercise. Intuitive App required to use this device. Will show your jog route on a map. Are you ready for this? Smart Shoes which are Fitness Trackers! Find the Under Armour HOVR Smart Running Shoes here. Why not set up your own home gym with this recommended Health Fitness Equipment? Find out which Gym Exercise Routine is best for you. Need to shed a few pounds? Go on the Best Diet of All Time.